Two former Paralympians have recently launched Access Adventures – a charity created to inspire other people with physical disabilities to get involved in adventure sports. Jane Sowerby and Tim Farr, both on the British Disabled Ski Team representing Great Britain at the Winter Paralympics in Vancouver 2010, know what a positive effect sport can have on people with disabilities. Teaming up with their long-standing friend Clare Williams – a physiotherapist, currently working with injured military at Headley Court – the three have established a charity which organises adaptive adventure camps. Jane, Tim and Clare could all see that there was a gap in the market for adaptive adventure camps, and more importantly, a real need to provide and expand the kind of adaptive sports available for disabled people. So, Access Adventures was born. This summer, the team have trialled numerous waterski/ wakeboard camps, as well as an adventure camp in Somerset which included land sailing and kayaking. The Charity Commission has just awarded Access Adventures charitable status after recognising the significant service the organisation can provide to those with a recent or long-standing physical disability. “I know personally how being involved in adaptive adventure sports can turn your life around and it’s been incredible to witness the same effect on others at our camps this summer. Unfortunately, adaptive sports are far more expensive than their able-bodied equivalent, due to the extra equipment and more tailored instruction required. This means that some people with disabilities just can’t afford to access them, and the fantastic benefits they bring. Now that the Charity Commission has officially recognised the benefits of Access Adventures, the team can begin fundraising to subsidise these costs with the ultimate goal to make the camps accessible for all. Next year will see a range of camps provided by Access Adventures including scuba diving and kitesurfing. 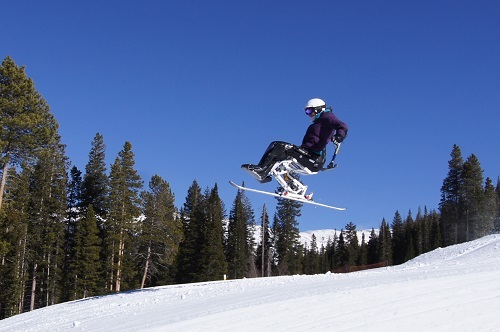 Since skiing is where Jane and Tim’s passion for adaptive sport began, a ski camp is also definitely on the cards in the not too distant future. This entry was posted in News and tagged Access Adventures, Adventure Sports, Paralympians. Bookmark the permalink.